In the late 1930’s Belgium had an interest in obtaining the right to produce Spitfires under licence in their own country, so in 1937 the Belgium Government requested one example of a Spitfire from the UK, this was to be used as a pattern aircraft. After talks between the two countries, the number of aircraft requested was raised to ten and then later raised to 30 aircraft, with also the licence to build a further 35. On the 28th September 1938 a firm quotation was give to the Belgian Government for 15 to 45 Spitfires and they were placed second on the priority list. However; with the outbreak of the World War 2 the order was cancelled. Close to the end of World War 2 there were to be two squadrons within the RAF that were made up of almost totally Belgian pilots, these being No’s 349 and 350 Squadrons, and at the time they were equipment with Merlin powered Spitfire LF.XVI (renamed later as the L.16). When Belgium in October 1946 formed its own air force, (Militaire Vliegwezen) it was loaned twenty seven L.16’s from the RAF. These were to be used pending the delivery of the more powerful Griffon Spitfire F.XIV (F(R).14). The L.16’s flew with Belgium markings but they retained their RAF serial numbers. As the L.16’s started to arrive into service, the L.14’s were returned to the UK with the last being in March 1948. In December 1946 an order was placed by the Belgium Government for 28 Spitfire LF.IX fighters, these were wartime RAF surplus and they were give Belgium serial numbers SM-1 to SM-28, (SM = Spitfire/Merlin), delivery was from August 1947 until November 1948. 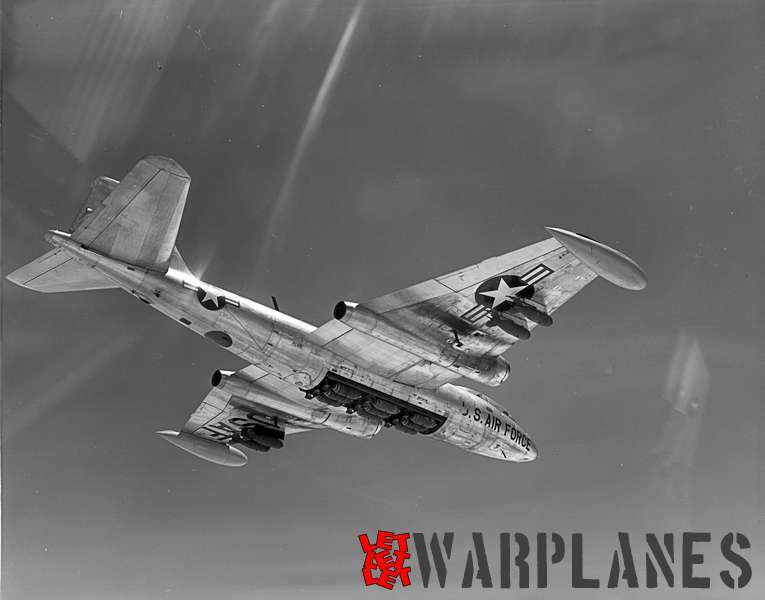 From June 1952 to March 1954 a further 15 L.IX’s were procured from the Royal Netherlands Air Force, being ex-Dutch-Indies aircraft, they were given the serial numbers SM-29 to SM-43. These aircraft were not used in the tactical role but by the Advance Training School (Ecole de Pilotage Avecce), the Fighter School (Ecole de Chasse) and an Auxiliary Squadron and as such they did not wear tactical codes. 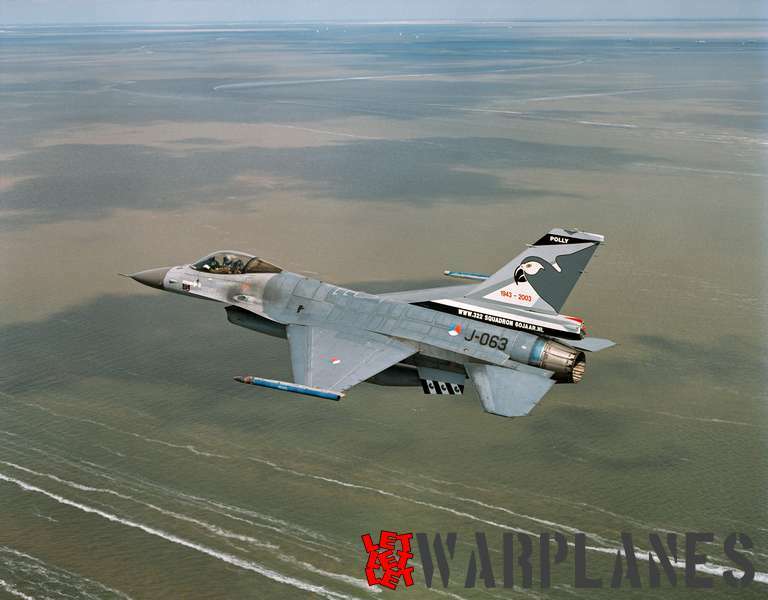 The LF.IX retired from the Belgium Air Force in late 1954, however, many continued flying with a civilian company, Cogea Nouvelle of Oostende, as target tugs. Also, a number of these aircraft went on to appear in various films, one of note was the 1969 film “Battle of Britain”. As stated before the L.16 was only a temporary arrangement and between 1947 and 1952 a total of 134 Griffon powered Spitfire Mk.XIV’s (renamed F(R).14), were delivered. The first batch, given Belgium serial numbers SG-1 to SG-102 (SG=Spitfire/Griffon) were all ex-RAF, one crashed whilst being delivery and a second aircraft was rejected, both were later replaced. Later serials numbers SG-103 to SG-132 were delivered under a Western Union contract after a Vickers-Armstrong overhaul. In addition two were delivered for ground instructional use at Ecole Technique at Saffraanberg. The L.16’s delivered were a mixture of the classic Malcolm Hood and the Bubble Hood, also a number retained of the oblique camera port of the FR.XIVe’s, so they retained the FR designation, however they were not fitted with cameras so did not undertake photo-reconnaissance duties. No’s 349 & 350 Squadrons at Beauvechain (1st Wing). No’s 1, 2 & 3 Squadrons at Florennes (2nd Wing). The Fighter Training School (Ecole de Chasse) at Koksijde. Once the Gloster Meteor F.4 & F.8 started to enter service the Spitfires were removed from operational duties, remaining only at the Fighter School until 1954. Of the 134 aircraft only 4 were preserved by Belgium Air Force with the majority of the remainder being scrapped. 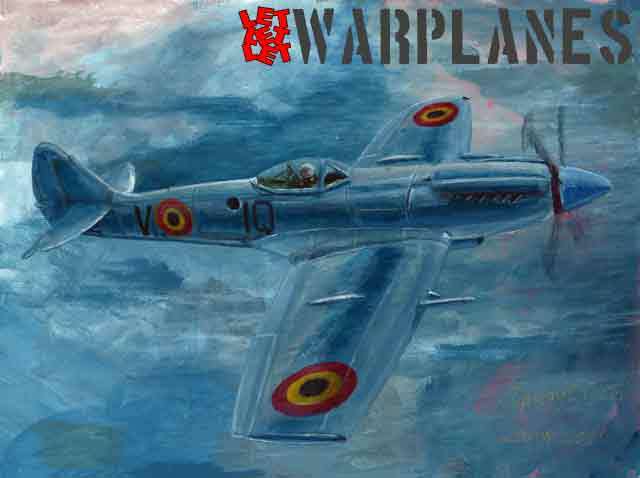 The painting above (author Srecko Bradic) depicts Spitfire FR.XIVe (F(R).14) SG-108 IQ-V, ex-RAF NH904 of the Ecole de Chasse. After retirement from operational duties she was past through a number of private owners, also stared in the film “Battle of Britain” and finally was shipped to the USA to Planes of Frame East Museum Flying Cloud, Minnesota and retains the serial number N114BP.